Engraving of 1000, 1001, or 1008 Shiva Lingas on a single stone or rock is known as Sahasralinga. Structures containing 1000, 1001, or 1008 Shivlings are very rare. It is said that even a mere sight of them is highly meritorious. 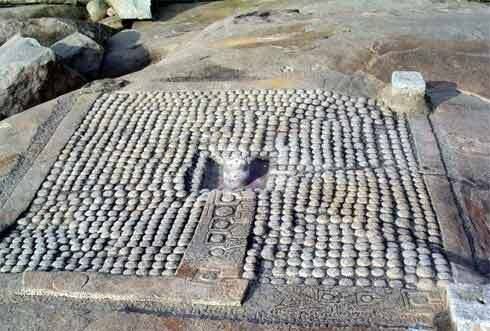 Sometimes the 1008 Shivlings are carved on a single huge Shivling. Many a times the Shivling are carved on a big rock – In rows and columns. There is also a place called Sahasralinga in Sirsi district of Karnataka. It is located in the middle of the river and one can see numerous Shivling carved on rocks here.